GEM Business Support Ltd offer a wide range of office support and solutions throughout your business. Outsourcing is a flexible and cost effective alternative to hiring staff as your business grows. Whatever or wherever you need assistance in your business, we will be able to help. As your business grows, so will the amount of paperwork and deadlines. Let us help you take the pressure off, so you can focus on growing your business. Don’t let the business run you. 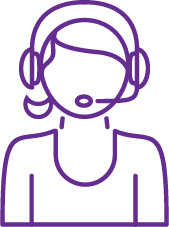 GEM offers bespoke call answering packages to suit every business. Our pricing starts from only £30 per month. GEM offers a complete outsourced business support solution. GEM offer a solution to all your bookkeeping headaches. Xero certified advisors and AAT qualified. Creativity not your thing? Whatever your reasoning for not getting around to writing the website blogs, newsletters or customer contact updates, GEM can help. Are you running your business from a mobile phone? Looking to add a professional touch with a registered business address and more, without the hefty price tag? GEM are affiliated with CT Business Solutions (N Mcr) – a managed IT support and service company, GDPR consultants, and online security specialists. Helping businesses to manage and secure data in accordance with current GDPR rules. Give us a call and allow us to take the stress out of keeping your office up to speed.